'Tis the season for mischief! Accidentally colliding with Tess Ellery on the icy streets of Ghent is definitely not how resolute bachelor Alexander Tempest, Viscount Weybourn, intended to start the festive period. He may have mistaken her for a nun, but there's nothing innocent about his reaction to Tess's delicious curves… When Tess is left stranded, Alex is honor-bound to take her home…as his housekeeper! 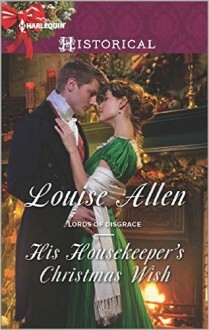 And despite his long-held rule of spending Christmas alone, Tess's vivacity soon has this brooding lord determined to make all her Christmas wishes come true!